That must be the reason why light colors are catching my eyes the last few days. 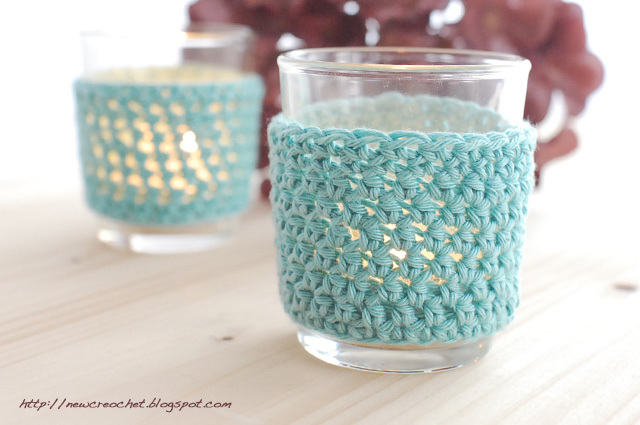 So I have decided to crochet some tealight covers in over to bring some fresh colors into my apartment. I had these little glasses laying around at home. They have a diameter of 5.5cm (2.5 inch) and a height of 6.5cm (2.6 inch). 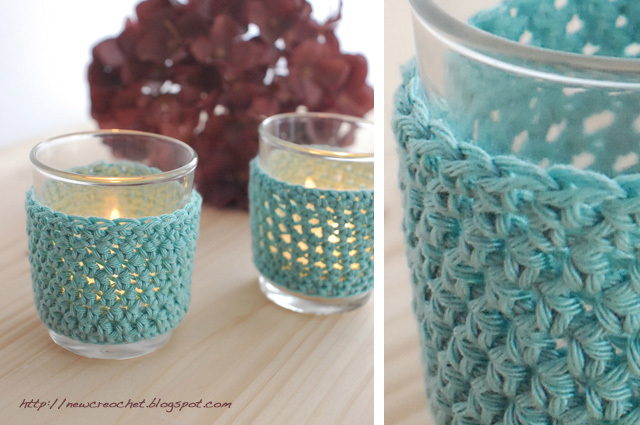 This is again a very simple pattern but effective!! Chain 27 on hook size 3mm and form a ring with 1 sl st in first ch. Repeat Row 2, 8 more times and finish off, weave in ends. Tip: make sure when starting chaining 27 that the ring you will form seems rather a bit small for the glass. Like this the cover won't slide off easily once it is finished and placed on the glass.